Can’t wait to see Henderson and Harris light it up this year. 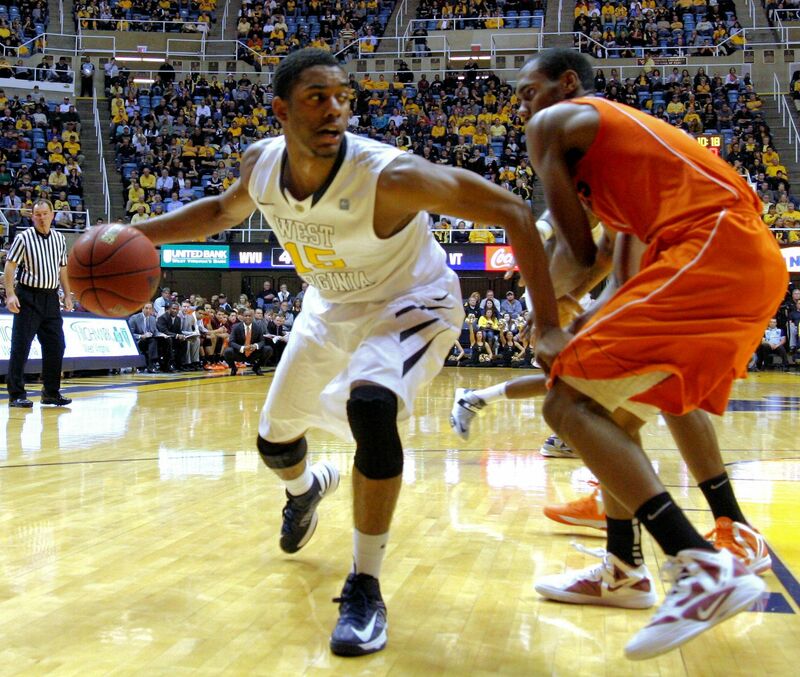 If West Virginia is going to once again taste the big-time success Bob Huggins’s basketball teams are so used to enjoying then guys like Eron Harris and Terry Henderson are going to have to step up and play well beyond their years. Huggins’s H-Gang – Harris and Henderson – were No. 1 and No. 4 in scoring last year for the Mountaineers as freshmen. Harris almost averaged double digits in becoming the first freshman player since Warren Baker in 1973 to lead the team in scoring (both teams had losing records, by the way). Harris produced a career-high 25 points in a 65-62 home defeat to Baylor, and also added 23 in a loss to Oklahoma. And Henderson was not too far behind Harris, averaging eight points per game with 10 double-digit scoring efforts, including three games of scoring 20 or more. He produced a career-high 23 against NCAA runner-up Michigan in New York City last December, contributed a team-high 21 in a home defeat to Oklahoma and scored 20 in a loss to Kansas.